After going unnoticed during his junior year, Nelson broke out during his senior year and was among the nation's best wide receivers. In the season opener against Auburn, he had nine receptions for 90 yards. In addition, he threw a 21-yard touchdown pass to running back Leon Patton in the third quarter. Two weeks later, against Missouri State, he had a great performance with 15 receptions for 209 yards and a touchdown. For the second time in his senior season, he threw a touchdown pass, which was a 24-yard pass to wide receiver Deon Murphy. Two weeks later, against Texas, Nelson had 12 receptions for 116 yards and a touchdown. In addition, he had an 89-yard punt return touchdown. The next week, against Kansas, Nelson had another great outing with 10 receptions for 137 yards and a touchdown. After the Colorado game, Nelson would put together a string of six consecutive games with a receiving touchdown to end the season. On October 20, against Oklahoma State, Nelson had 12 receptions for 176 yards and three touchdowns. Against the Baylor Bears, Nelson had eight receptions for 105 yards and a touchdown. In addition, he had a 92-yard punt return touchdown in the game. Against Iowa State on November 3, Nelson had 14 receptions for 214 yards and touchdown. In the following game against Nebraska, Nelson had nine receptions for 125 yards and a touchdown. Against Missouri in the next game, he had eight receptions for 94 yards and a touchdown. Against Fresno State, Nelson had 15 receptions for 165 yards and a touchdown. The game against Fresno State was a loss and the last game of Nelson's college career as it knocked Kansas State out of bowl eligibility. 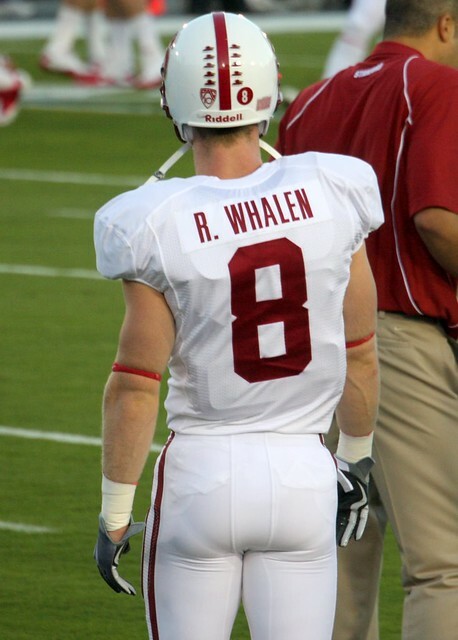 Ryan Whalen - Stanford | Flickr - Photo Sharing!